Comb over haircut is among the most popular and timeless hairstyles for men. This haircut gives you a stylish new do that’s become a worthy consideration for balding men. 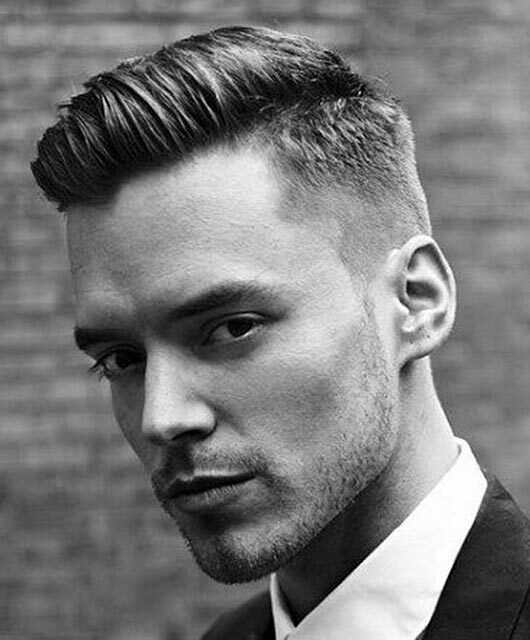 Comb over haircut is a versatile wear that lets you choose from the undercut, fade to classic styling. It’s a good option for those having medium to long hair. 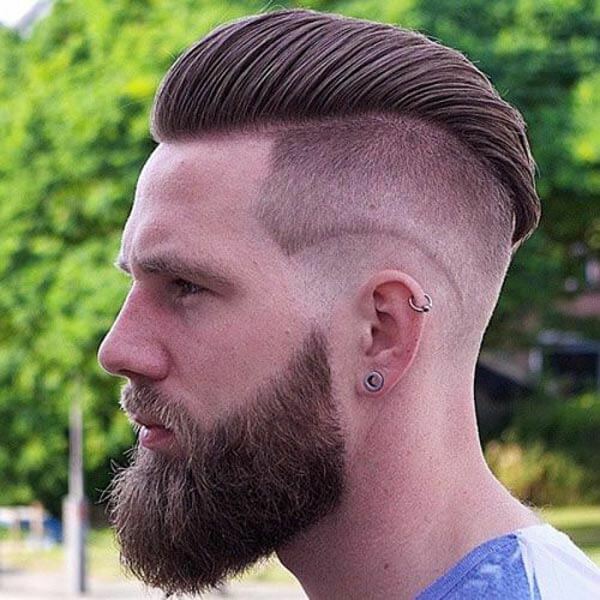 Below are 36 inspirational ideas for those planning to sport a Comb Over haircut. 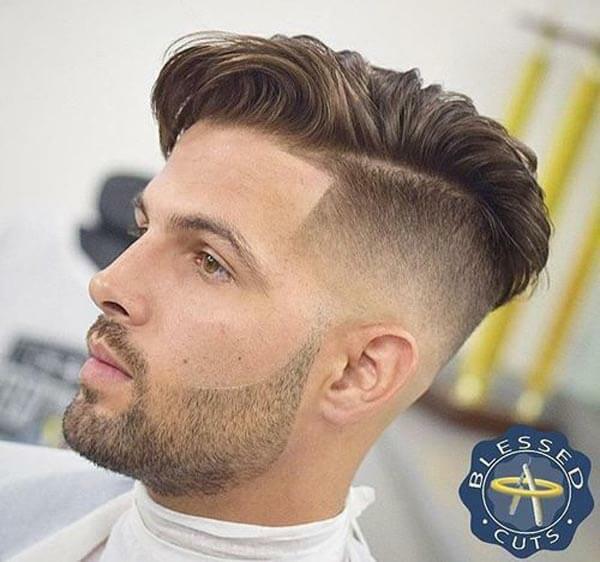 To get this modern Comb Over hairstyle start with a side part followed with a dipped fade. Give the longer top a blow dry and add some texture to it. Sweep the center top to one side and tease the front into a wave that curves forward. 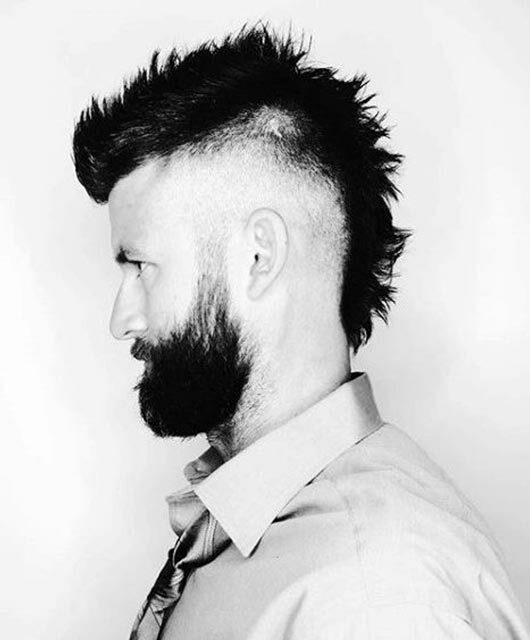 Make a razor outline on the sides and extend it to the beard for a neat and fresh look. This style creates the illusion of hair that’s blown in a light breeze. Begin with a blow dry and sport an undercut to the sides and back. Go for some light texture at the top and comb it straight up. Tame the height by giving the strands a slight chop at the ends. Finish with a gentle sweep to one side. Start by combing up the hair at the top and sport a buzzed high-low fade that begins high up on the sides. Let it dip towards the back and go on to blow dry the top for added visual volume. Add some texture and style into a slicked back Mohawk that sweeps slightly to one side. Apply pomade cream and tease into a raked texture for a more classic look. Settle for a deep side part and apply a texturizer to the hair. 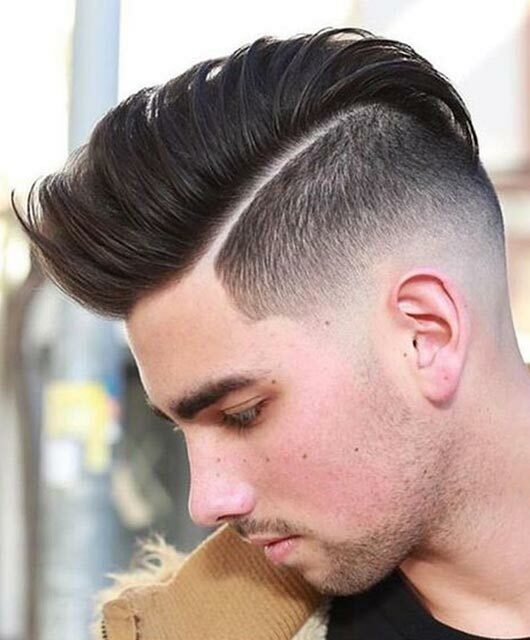 Don’t work it too deep on the sides such that only the top layers sport a textured look. 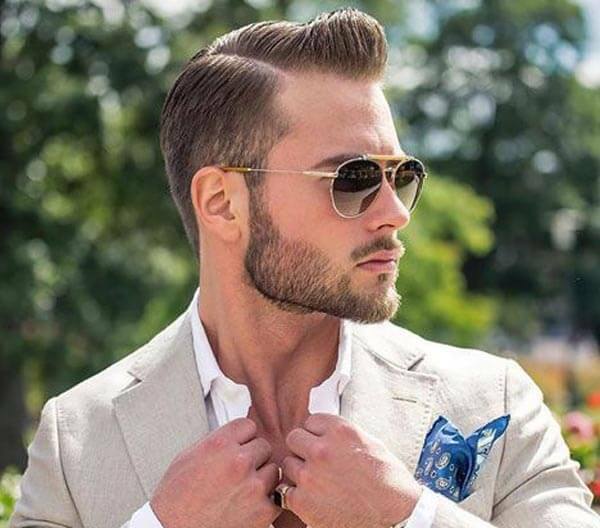 Style the top into a pomp-style Comb Over sporting a longer swept up front. Complete with a blurry taper that’s blended at the back. 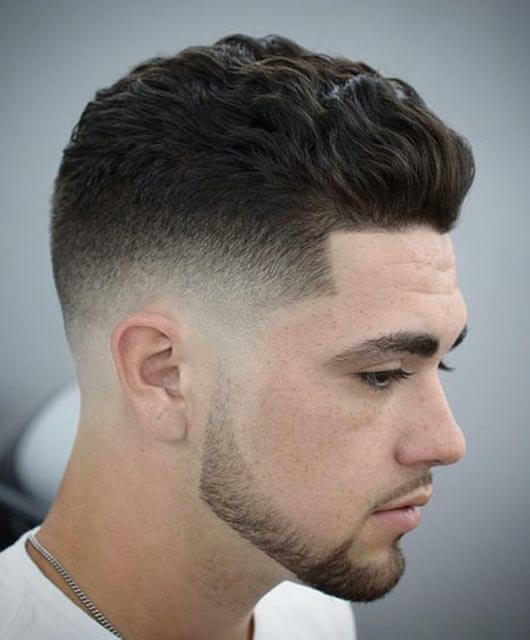 Let the tapered cut connect to the beard line. 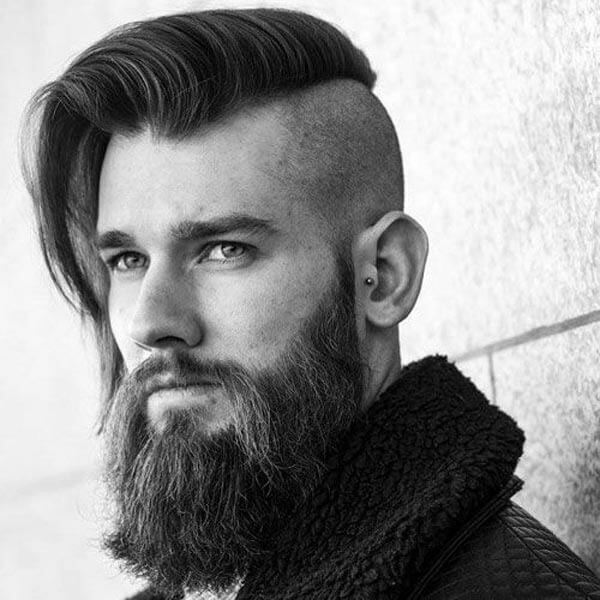 This is a great hairstyle for full bearded men with long hair. Begin with a short buzz cut on the sides and the back. Grab the longer hair at the top and give it a blow dry with some little texture. Finish by flipping it to one side to create a flirty haircut that looks more dramatic.